We are happy to arrange for special events or private parties in any of our three rooms at the Hayes Street Grill. The largest dining area can host parties up to 75 seated and 90 standing; the bar room can host 35 seated and 50 standing; lastly, our private alcove can host 25 seated and 30 standing. Hayes Street Grill is a neo-traditional fish house in San Francisco's Civic Center district, across the street from the Performing Arts Center, opposite Davies Symphony Hall and a block from both the Opera House and City Hall. We use an international mix of recipes, unified with a theme of fish and seafood. Above every other consideration, we want the freshness and pristine quality of the fish, produce, and naturally-raised meats to speak for themselves. The Hayes Street Grill's walls are covered with autographed photos of the artists who consider the restaurant their club. Though we've remodeled since our opening 33 years ago, the original brass coat hooks along the walls remain, as does our founding philosophy of cooking only the food we would serve at home to our families, albeit dressed up a little, with a religious dedication to wholesomeness. 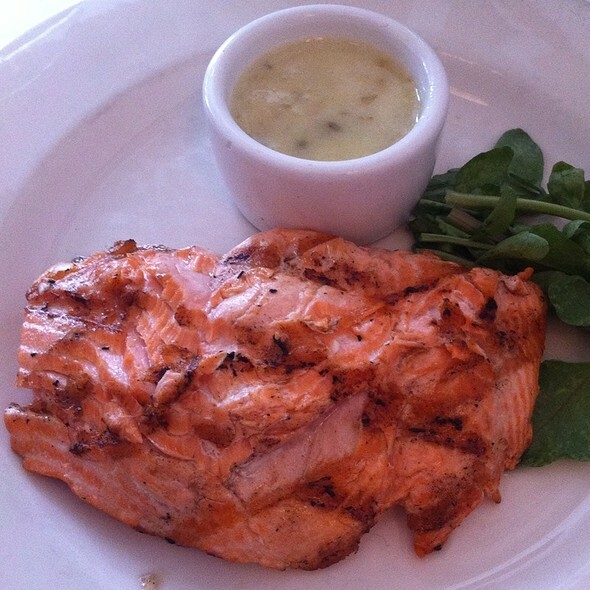 Hayes Street Grill still has the Freshest seafood, freshest salads, best homemade soup and attentive service. After many years, not a sign of faltering in their standards of quality. Service was well-timed and friendly, wines were affordable. We were asked right when we walked in IF we were attending a show. They were fast, attentive and the food was again terrific. Wonderful as always! We will always return. The best place in Hayes Valley. Our favorite restaurant, particularly for special occasions. Everything was delicious! We especially like the friendly atmosphere and knowing so many of the waitpeople. It's lovely to go somewhere that never fails and where you're appreciated as a longtime customer. Hayes Street Grill is perhaps the oldest, and one of best venues in the Hayes Valley. The constancy over the thirty-something years we have dined there is truly amazing. The Bay Area dining scene has of late seemed to place a premium on novelty, frequently in the guise of 'innovation'. Hayes Street is truly innovative. Innovative in the sense of devotion to the classics of gracious and amiable dining in the face of continental drift. It adapts to changes in taste, availability, the economics of the business in order to deliver a constantly pleasant experience. It has never attempted to 'impress' me, but it does so. It has become a 'locus amoenus' where we can dine in refuge from noise, manufactured atmosphere, and the hurly-burly of the "Scene". I perhaps should recuse myself; for having a mostly seafood diet, for having had many of the same waitstaff for most of those years, and a soft spot for any place that can usually get you to a show even when weather and traffic are filthy obstacles. Visiting from out of town and unaware that we’d be looked down on for our casual dress. Our server was pleasant but we noticed many looks of disdain. Other diners and some staff were clearly irritated at our lack of finer dress. The food was terrific but the experience was very uncomfortable. 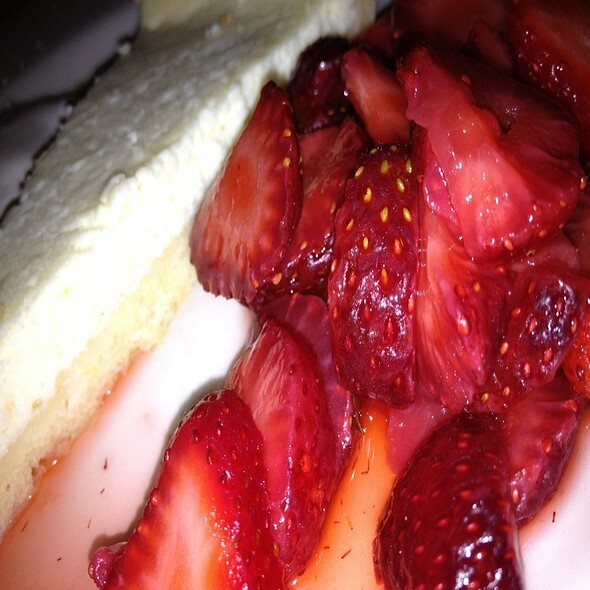 HSG= great menu+wonderful servers+delicious food +authentic SF casual chic ambiance! Had a great time, as always. Good food, friendly service, nice ambience. We had plans for the theater with my sister and brother in law. I offered to find a place For dinner. I checked several and based on what folks were interested in eating I selected Hayes Street Grill. It did not disappoint! The cuisine has changed. It was disappointing. Too much pepper, too much sauce, soggy french fries. Maybe it was a bad night. We enjoyed our meal at Hayes Street. Perhaps because of the show crowd the place emptied out almost as soon as we got there. And the food arrived faster than at a Mexican restaurant, giving us the feeling that they wanted to close the place. The service was outstanding but there was not much the server could do about the time pressure. Might return at a different time. Hayes Street Grill is always welcoming in every way: The food is really delicious and, like the decor and staff, comfortable and not overly done up. Three of us had dinner here and two of us got grilled fish, each a different variety. Only one person out of three enjoyed their food and even surprisingly ate some of the others undercooked fish. Both of the grilled fish dishes were undercooked in the center to the point of us not wanting to continue eating our dinner once discovered. The salmon had spots that bled onto the plate. We couldn't mention it to the waiter as he didn't come to check on us after our food was delivered. Surprising experience for a place with such a good reputation. We had to contend with a very loud gentleman at the table next to ours. (My companion guessed that his wife was hard of hearing.) 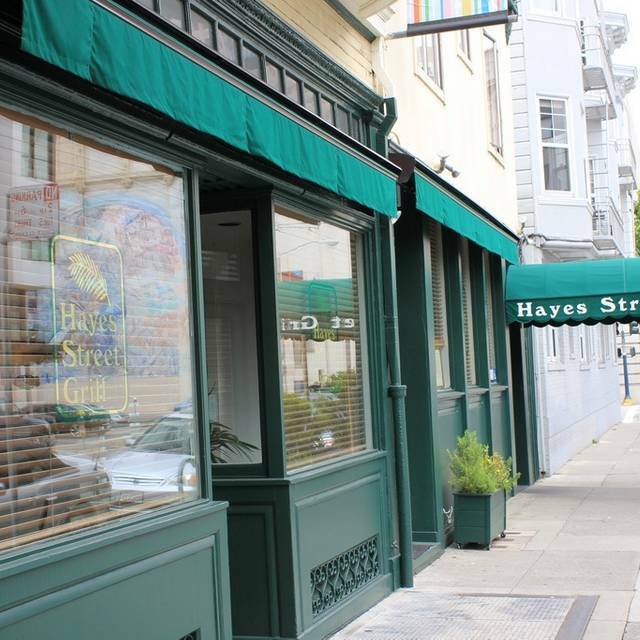 I know that Hayes Street Grill is a relatively small space, and the spacing of the tables is usually satisfactory. However, on this occasion it was definitely problematic! I have really liked this restaurant in the past but I was very disappointed in my food and my waiter on this visit. My salad was delicious but my fish, which my waiter said the chef cooked medium rare was really just cooked a little on the outside and raw in the middle, not my idea of medium rare. I eat sushi so I'm not squeamish about raw fish, it's just not what I ordered and it didn't work particularly well with the type of fish I ordered. I mentioned my problem with it to the waiter but, as far as I could tell, he had no interest in making sure I didn't leave the restaurant unhappy with my meal, no offer to redo it for me, not even any attempt to reduce my bill. I'm not sure I will be back. The fries, however, were great, as usual. My bad for ordering a pork chop at a fish restaurant. It was so dry and unseasoned I could not eat more than 2 bites. I pushed it away and the waiter didn’t even both to ask if anything was wrong. As a courtesy I mention it to the maitre’d on my way out. He defending it saying it was a Niman Ranch pork chop. Well... it could be a chop from the queen’s pig and it can still me made inedible. Good service, they got us out on a busy Friday evening in plenty of time for our show at NCTC. 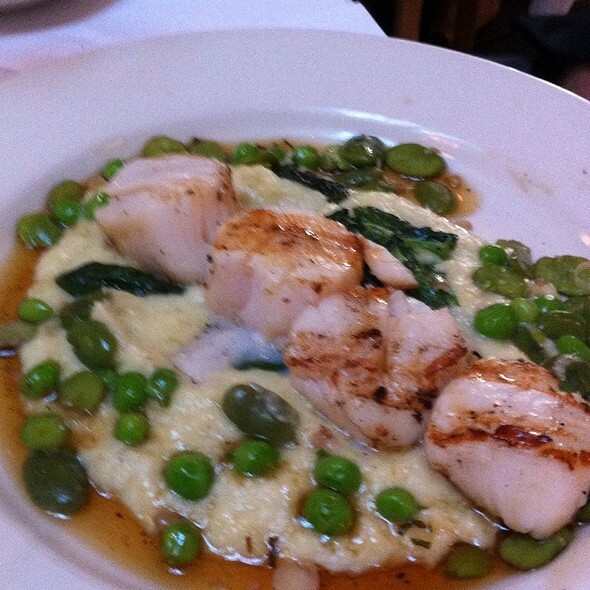 The scallops were delicious! This was a much better meal than on our previous visit, so we will certainly try it again. I arrived late and needed to make a 7:30 curtain on Market and they were amazing - serving us within minutes with more consideration than I deserved. The food was just right - asparagus was delish and the sardines were as good as what I had in Italy. Lovely wine selection too. I look forward to returning when I'm not in a rush to better enjoy the cuisine and excellent service! Wonderful experience. Especially appreciated the gracious and helpful assistance with choosing a vegan meal for my companion. Waiter and the chef both participated and the food all around was excellent. This is a wonderful restaurant especially for before a concert. Atmosphere is warm; service is personal and efficient; food is good; and they always get you out in time. I come often and enjoy it every time. Great for a traditional, no frills seafood dinner. The pan fried oysters looked terrific as they came by - must get them on my next visit. 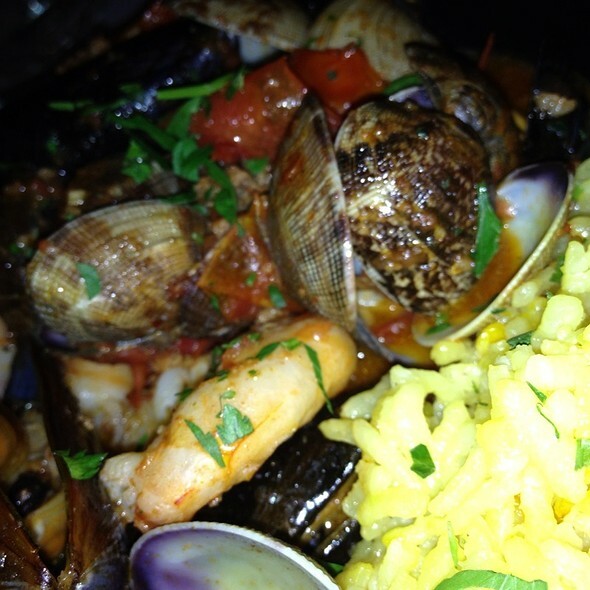 All of our seafood dishes were excellent! And I love the sourdough wheat bread. Will continue to return. Dear Hayesies ... I am so glad that you have given me this opportunity, as I wanted to write to you anyhow. I have eaten off and on at the Hayes since the very early seventies when it opened... I have always loved its intelligent atmosphere and the NO MUSIC policy... a rare island of sanity. Last year about this time was my previous meal there preceding last Sunday evening. It was all really excellent. Good was very good, the service was great, and the price for the 40th Anniversary Special was well-priced. We enjoyed it so much that we returned the next night to try additional dishes. 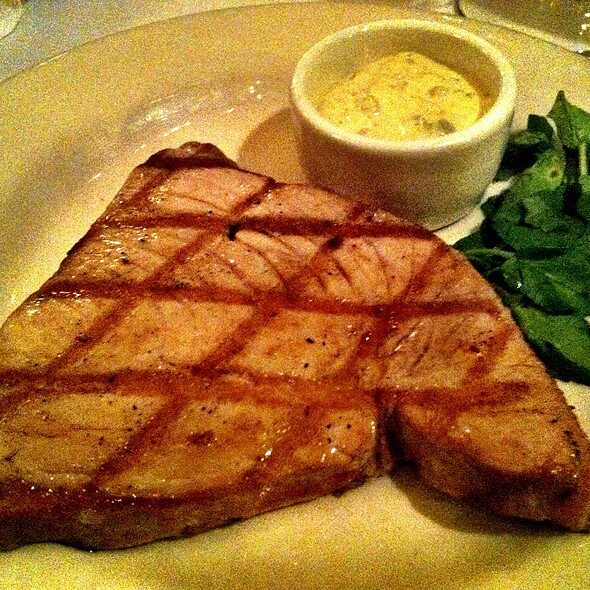 Hayes Street Grill remains one of the finest restaurants in San Francisco. With the constant appearance of new restaurants, it is easy for the newcomers to overshadow the old ones. Happy 40th anniversary HSG, and may you celebrate 40 more! They are celebrating 40 years in business so we availed ourselves of the $40 special for ou rchoice of appetizer, main course, sides, and dessert. A superb meal. The place was packed so a bit noisy but it was worth it. 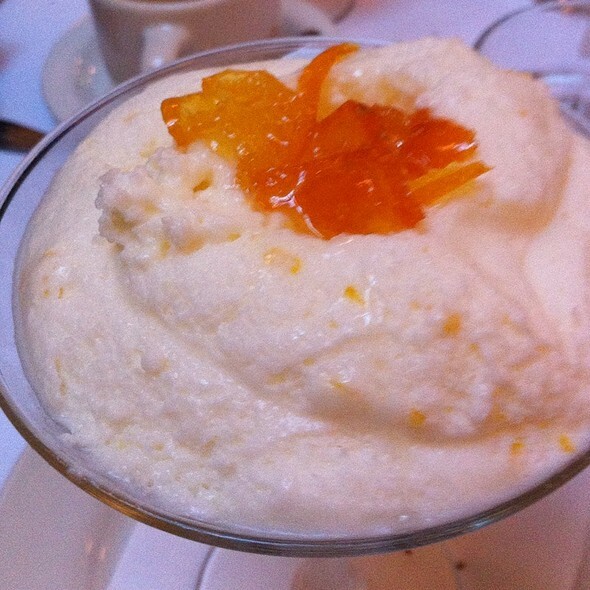 Fried oysters and crab cake were delish.. Desserts are all so fabulous, how can you choose? Took advantage of 40th anniversary prix foxes of $40 for three courses. Fried sardines were light, crispy and fresh. 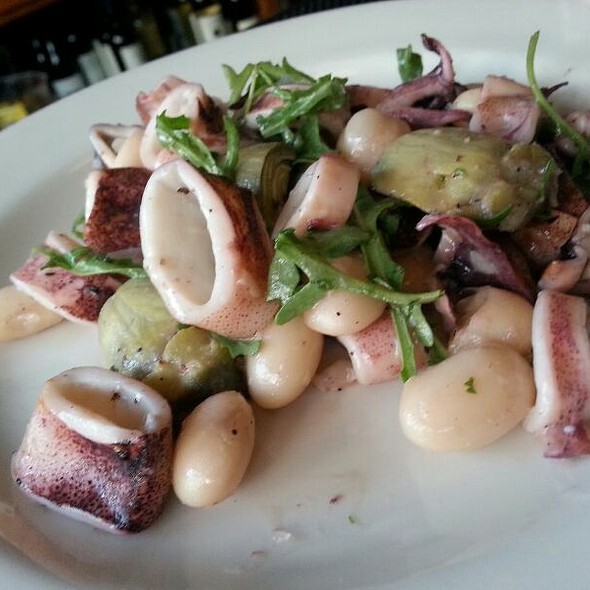 Delicate flavors, textures and balance of calamari, beans in olive oil. Halibut with lemon, capers & butter sauce and scallops on bed of puréed sweet potatoes were perfectly prepared. Black cod in cazuela with clams in dashi broth brought Japanese influenced flavors. Finished with Crême brûlée, an apple-pear crisp and flourless chocolate cake. Both the food and server John made for a wonderful experience. We had a table of five for my birthday on March 20, and everyone was satisfied and very pleased. The food was outstanding, fresh and delicious! Our waiter was excellent and very attentive ! I would highly recommend the Hayes Street Grill for the pan-fried oysters and their delicious fresh seafood! Excellent! Food was good and interesting. We were most appreciative of waiter being conscious of our theater time restrictions. We thoroughly enjoyed helping to celebrate the 40th anniversary. Especially enjoyed the breaded oysters - delicious! Our meals were exceptionally good. HSG is a reliably fine resturant. I've never been disappointed in the food or the service..
Good plain food- nothing fancy- but grossly overpriced by about 30%. If it weren't convenient to the cultural venues in the area, I wouldn't go out of my way. Over the past 4 decades, this restaurant has been consistently outstanding in quality of food and service. The composed salads are always creative and delicious. The staff is nothing short of miraculous. Our party morphed from 11 to 13 at the last moment. The waiter was efficient at getting us out in time for our performance without ever making us feel rushed. Pacing of the meal was perfect.